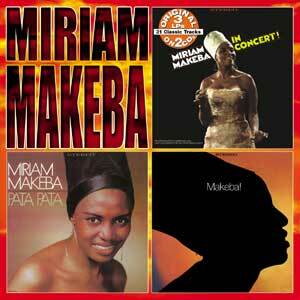 Miriam Makeba, South African singer/activist/conjure woman, has transitioned at the age of 76. I’m not anything close to the biggest fan of her music. I only remember listening to one of her songs songs ad nauseum a couple of years ago—can’t even remember its name—that was especially good for getting it going on the elliptical machine. But Makeba’s life, more than her music, was an inspiration and challenge to me. The media can hardly be trusted in the connections it makes or implies. Nonetheless their reports of her death say that Makeba suffered a heart attack after singing “Pata Pata” (a seriously danceable track I do happen to know) at a benefit concert in Italy for the writer Roberto Saviona. Saviona’s life had been threatened by the Camorra, (a “mafia-like organization” according to Wikipedia) for taking a stand against the group in his writing.